Rhodiola Rosea / 60 Vcaps - Nature's Way®. 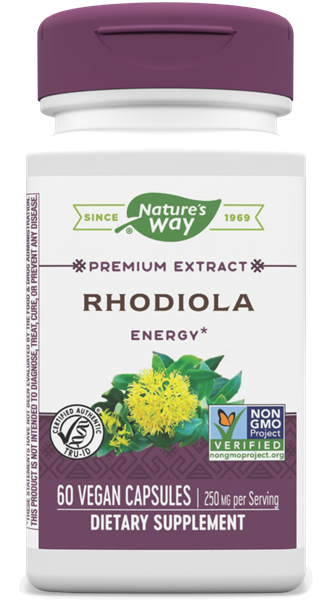 Nature's Way Rhodiola Rosea extract is standardized to 3% rosavins and 1% salidroside. Take 1 capsule twice daily, preferably before meals. For best results, take in the morning and at mid-day.